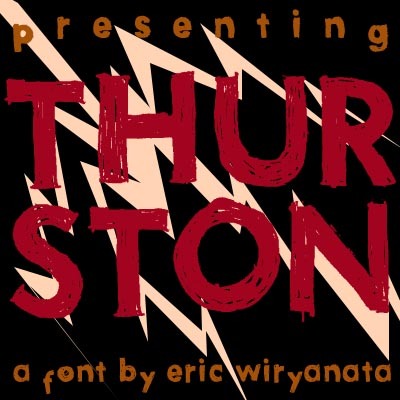 the name Thurston was taken after Thurston Moore. The font was sketched using the Futura font as inspiration. I embed some illustration in the font.